The design of this quilt is based on an interesting beige striped fabric. The stripes change color and direction within the yardage. 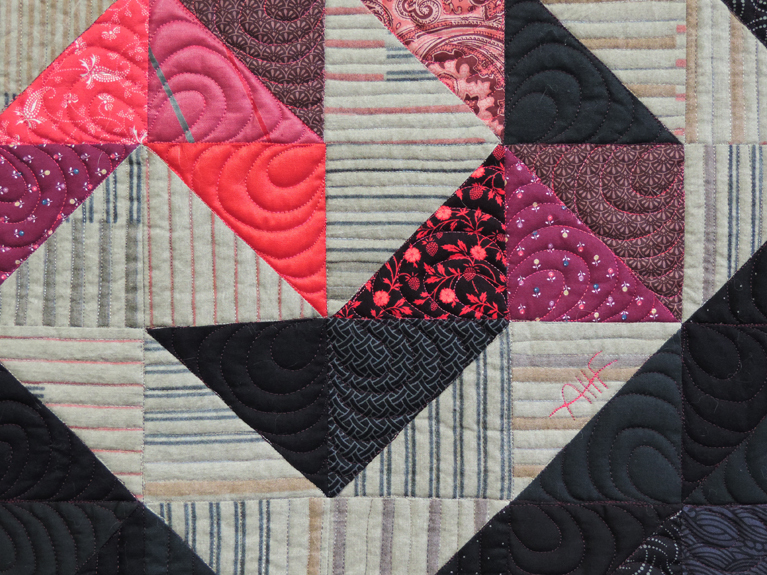 When I combined it with black and red triangles it became a very bold puzzle-like design. The viewer can follow the striped pathways, much like a maze. 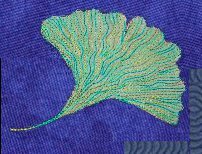 The quilting patterns chosen are very simple; using straight lines in the striped portions and repeated or echoed loops in the other triangles. 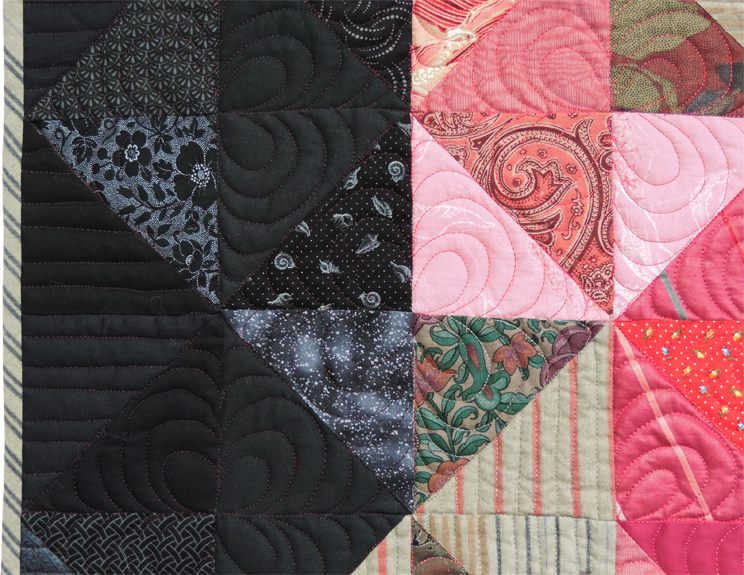 The center areas were quilted with 3 different variegated threads; a beige/gray, rose/pink, and multi red. 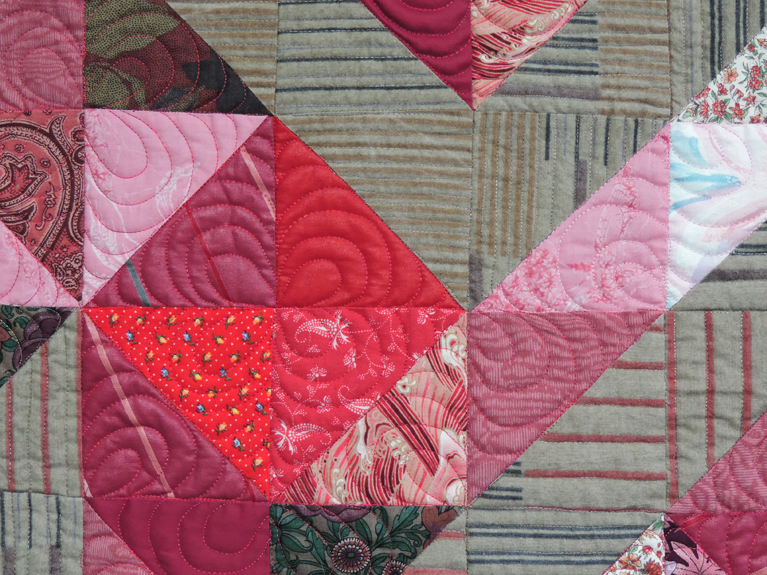 The border was quilted with a solid color dark red thread. The outer edges are bound with the same striped fabric which was cut on the bias to create interest on the outside edge. There is wool batting inside. A little history behind this quilt. The top for this quilt was made back in the 1990s. It cris crossed the country with me while I taught a workshop on designing with triangles. Because of a problem with one of the black fabrics used in the top, it was never completed. 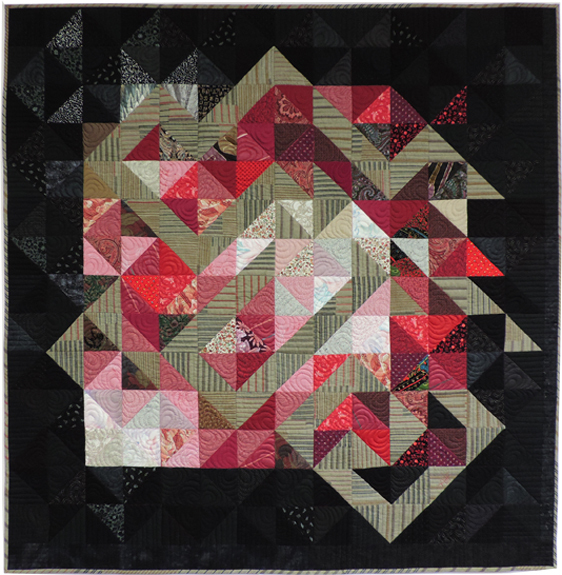 In 2015 all the triangles of the problem fabric were removed and replaced so I could finally finish this dramatic quilt.